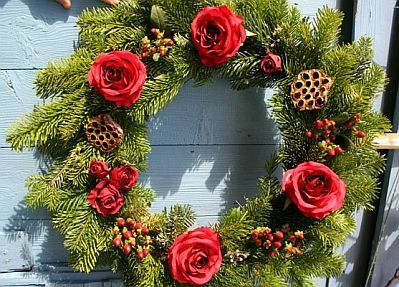 If you liked the idea of ​​decorating your home environments with Christmas wreaths, now we present some other interesting models that can produce yourself, using the colors of your choice and producing them in sizes that best suit you. Christmas wreath with green boughs base, brown pine cones and red flowers. 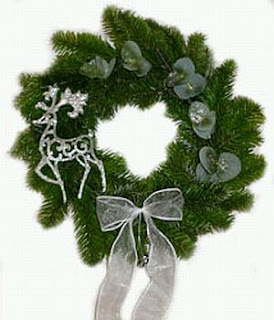 Christmas wreath with green branches, and silver ornaments, among them, a tie and a reindeer. 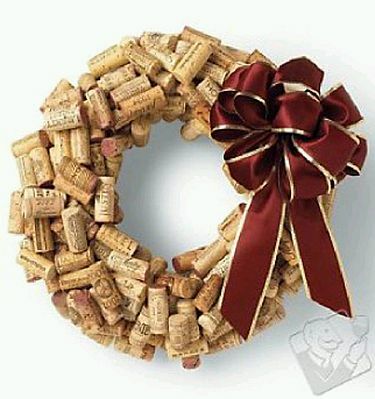 Christmas wreath made from corks, placed next to dark red tie. 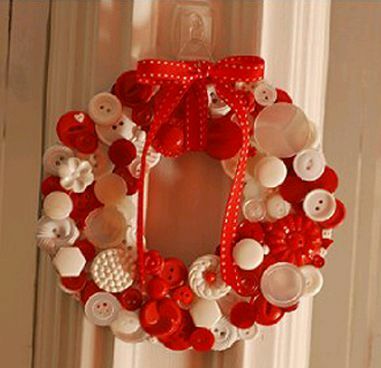 Christmas wreath made with red and white buttons of different colors, in the middle was placed a red ribbon with white. 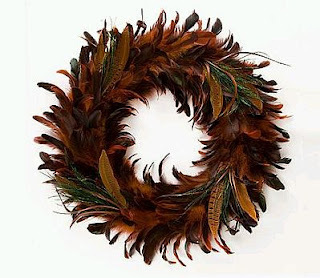 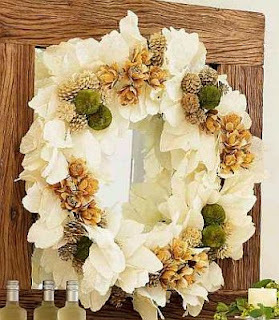 Christmas wreath with white flowers that stand on fruits and flowers in earth tones. 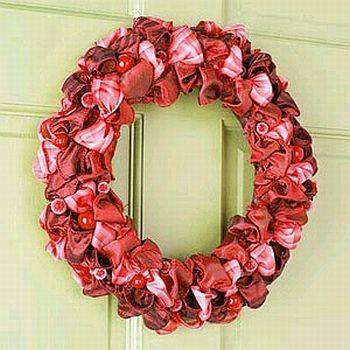 Christmas wreath made with loops of pink, red and maroon. 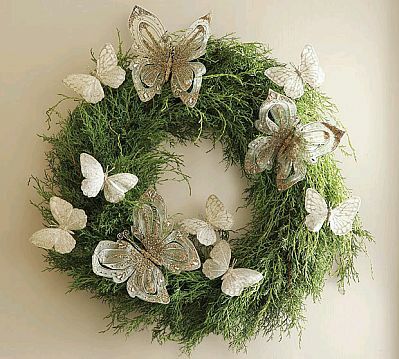 Christmas wreath with green base and golden butterflies of different sizes. 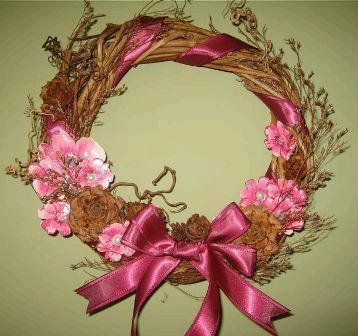 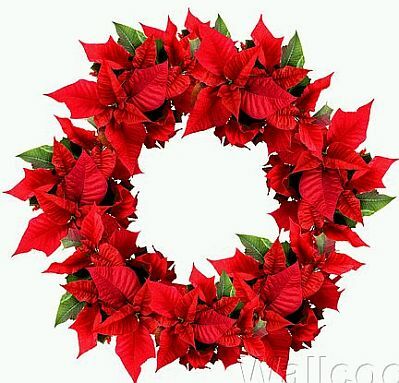 Christmas wreath to the basis used brown branches, was used to decorate a pink ribbon and flowers of the same color.